A few months back when I filled up a MAC palette with new eyeshadows, there are a couple among those that I have hardly ever used. Despite the fact that Sumptuous Olive and Amber Lights are such lovely colors, I don't seem to wear them at all by their own. This time I got a little inspired my both and put them together in a smokey look. Hace unos meses cuando llené una paleta de MAC con sombras nuevas, hay algunas entre esas que muy apenas he usado. Fuera del hecho de que Sumptuous Olive y Amber Lights son sombras muy lindas, no parece que las use lo suficiente por sí solas. Esta vez me inspiré en ellas para crear un look ahumado usando ambas. At first, the eye makeup consisted of all green tones until I experimented by really working Amber Lights in the inner corners, focusing on the area under the brows. I loved how much light it brought to the eyes, even before applying a little bit of highlighter to the tear duct area. I tried to keep the colors very earthy and warm. Al principio, los ojos consistían de puros tonos verdes hasta que experimenté al poner intensamente Amber Lights en las orillas internas, enfocándome en el área debajo de las cejas. Me encantó cómo trajo luz a los ojos, incluso antes de aplicar un poco de iluminador al área de los lagrimales. Traté de mantener los colores muy terrenales y cálidos. - MAC Constructivist Paint Pot. 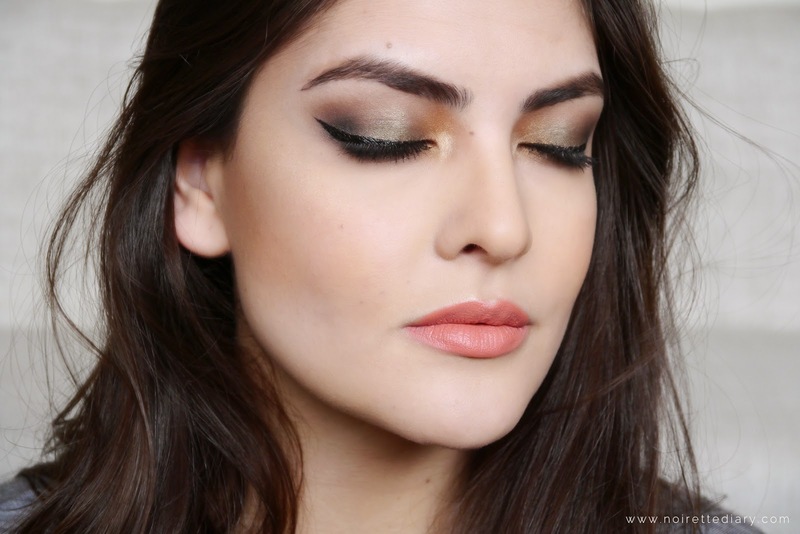 - MAC Sumptuous Olive (lids and bottom eye area/párpados y debajo de los ojos). - MAC Amber Lights (inner corners/orillas internas). 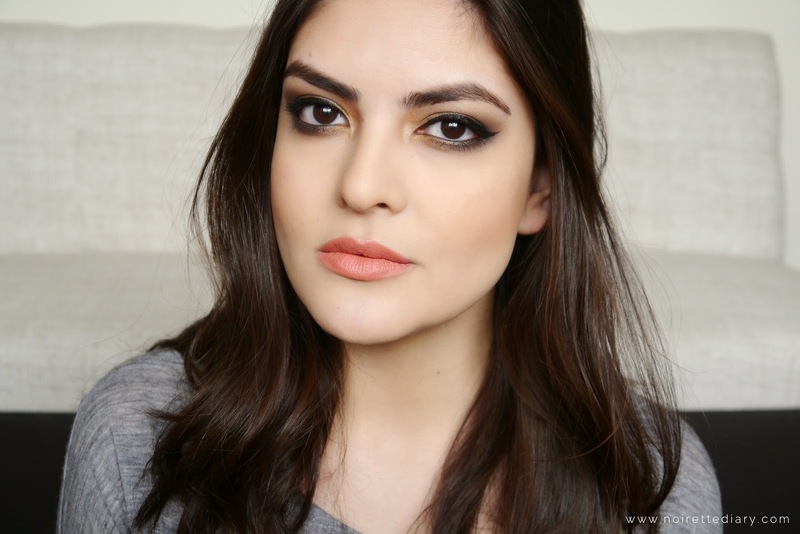 - The Balm ShadyLady Eyeshadow in Jealous Jordana (top and bottom outer thirds/tercio externo de arriba y abajo). 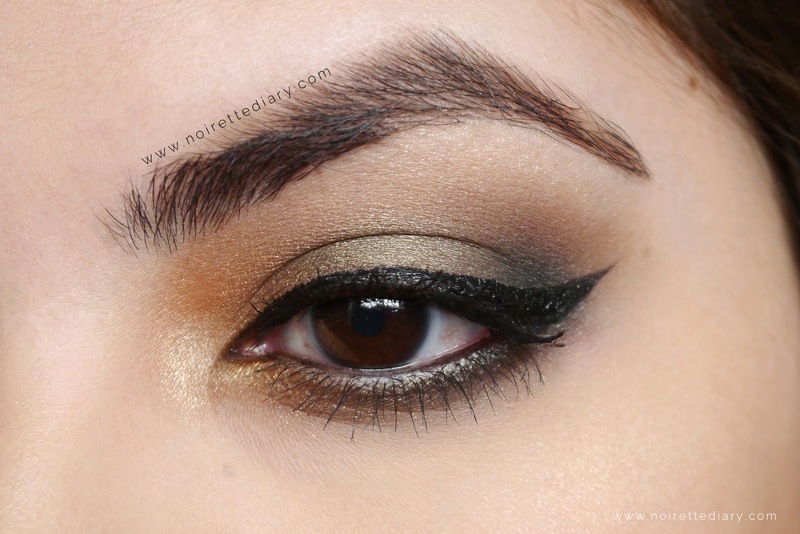 - Lorac PRO Palette: Taupe (crease and bottom area/cuenca y parte de abajo), Sable (top and bottom outer corners/orillas externas de arriba y abajo). - The Balm Mary-Lou Manizer (brow bone and inner corner highlight/iluminado de lagrimales y debajo de las cejas). - Maybelline The Colossal Mascara. - Rimmel Show Off Matte Lip Velvet in Atomic Rose.